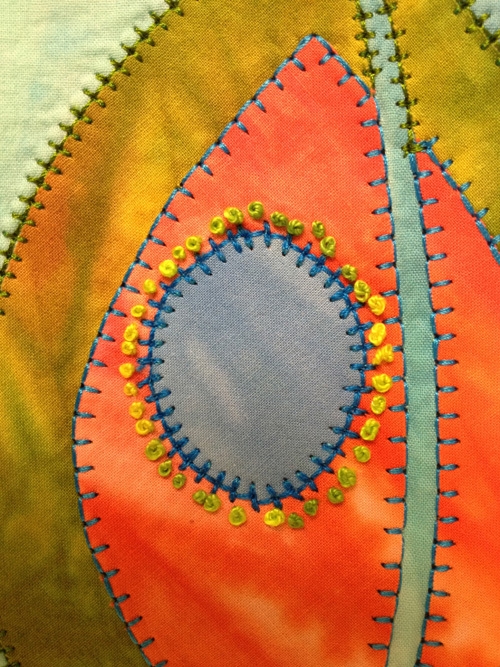 Hand Embroidery + Decorative Machine Stitches = Awesome Embellishment! Do you ever have a sudden idea that you must try out immediately on the sewing machine? Such was my idea of combining hand embroidery stitches with decorative stitches on my BERNINA 750 QE. While constructing my fused quilt, Blue Note, I realized it needed more detail and a more textural surface. Detail and texture on a quilt’s surface help engage the viewer. The added interest of decorative machine stitches is just the ticket to draw that attention. Playing with the various options on my BERNINA, I chose two stitches from the Quilting Stitches menu. 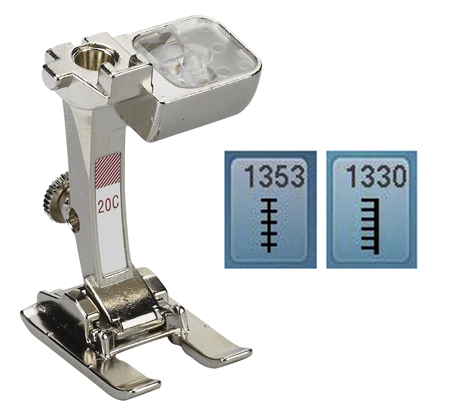 My favorites were #1353 and that old standby, #1330, the buttonhole stitch. With Open Embroidery Foot #20, I was off and running. The edge of each shape in Blue Note was embellished with a decorative stitch. 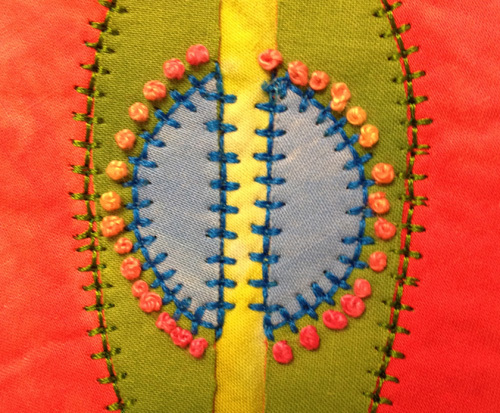 And later, hand stitched French Knots were placed around various dots or “notes” in the design. By combining both hand and machine decorative stitches, the quilt came to life. And I can hardly wait to start the next one! Would you like to learn more of Laura’s hand-stitching techniques? 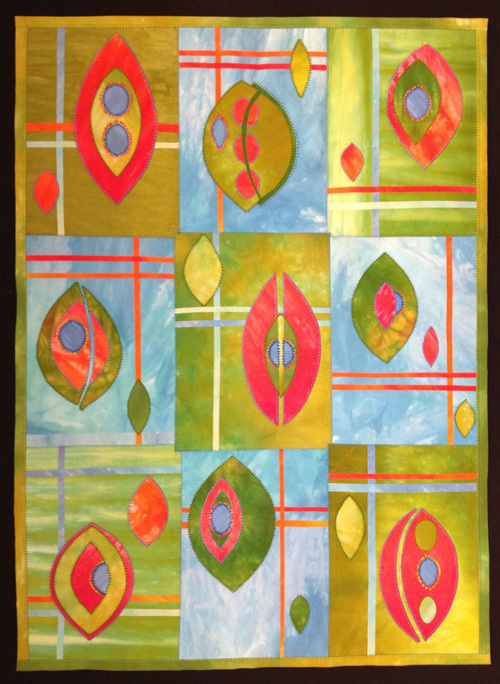 Check out her Craftsy class, Hand-Stitched Collage Quilts. What thread did you use in the machine embroidery? That’s my question too. What thread was used AND what was in the bobbin? My BERNINA 750 QE works with many different brands of threads. But I like the Isacord in both the top and bobbin of my machine. The 40 weight Isacord has a nice sheen and twist. In sewing decorative stitches on my 830, I find using embroidery bobbin thread in the bobbin allows the top stitching to look perfect! King Tut is one of my favorite threads for the look it lends to my projects. I like the suggestion of adding hand stitching so will do some testing with that in mind!